Leiying Zhai joined the group of micro-nanofabrication as a staff researcher at INL in 2016. He focuses his research on optical MEMS and NEMS devices. 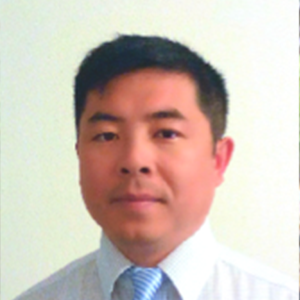 He has strong interests in structure design, processes development, and packaging technology of micro-nano devices. Furthermore, he has experience in synthesis and characterization of nanomaterials gained during his MS degree. In 2012, he obtained his Ph.D in Micro-Electronic & Solid Electronics in Shanghai Institute of Microsystem and Information Technology (SIMIT), Chinese Academy of Sciences (CAS). Meanwhile, he became an assistant research scientist in SIMIT. There, his research mainly focused on optical MEMS devices supported by China’s research fund. In 2013, he began commercial product design and manufacturing of optical MEMS devices. During that period, he served successively as a senior engineer and chief engineer in the industrial company of SIMIT. Mainly on optical devices, he developed a commercial VOA and OSW used in the optical communication network which are now commercialized successfully. Additionally, he has also developed a NEMS gas sensor in collaboration with other corporations, which will be used in the mobile phone and intelligent terminal. Leiying Zhai, Jing Xu, Shaolong Zhong, Yaming Wu. A novel offset vertical comb-driven micro-mirror for optical phase modulator. Leiying Zhai, Jing Xu, Yaming Wu. Design and fabrication of independent-cavity FP tunable filter. Optics and Precision, 2012(20): 1772~1781. Leiying Zhai, Jing Xu, Yaming Wu, et al. Fiber-optic phase modulator based on MEMS electrostatic micro-mirror actuators. Journal of Optoelectronics·laser, 2012(23): 1635-1643. Bing-She Xu, Lei-Ying Zhai, Jian Liang, Shu-Fang Ma, Hu-Sheng Jia, Xu-Guang Liu. Synthesis and characterization of high purity GaN nanowires. Journal of Crystal Growth, 2006(291): 34-39.